These papers are the last of the Extras I designed for the Celebrate kit. Extras 9 has a Canadian theme, Extras 10 has a USA theme, and Extras 11 is "generic." 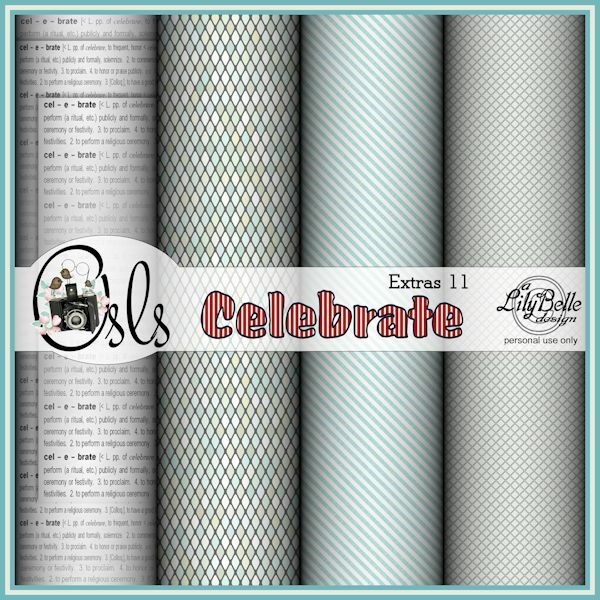 Got all the extras, lots of papers and elements in Celebrate Extras. Thank you so much and hopefully I will be home longer the next few days to do some posting. We are very hot here, possibly another heat wave as this is the third day for this awfully hot, humid weather. Hope all is well with you Fay!